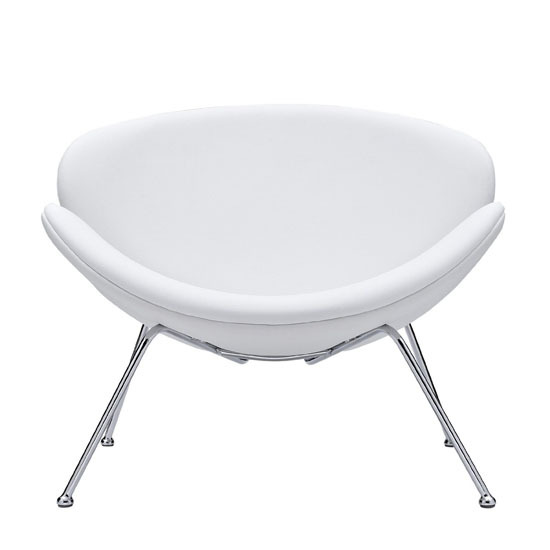 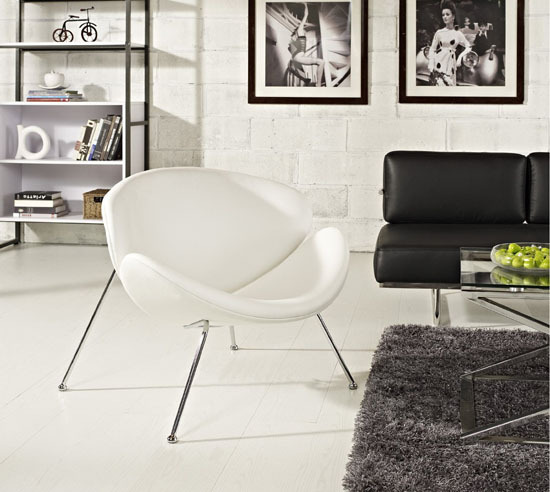 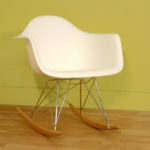 Everybody want a luxurious feel in whatever they do including when they are taking their break sitting on a comfortable chair and that is what LexMod Nutshell Mid-Century Style Lounge Chair In White Vinyl can give. 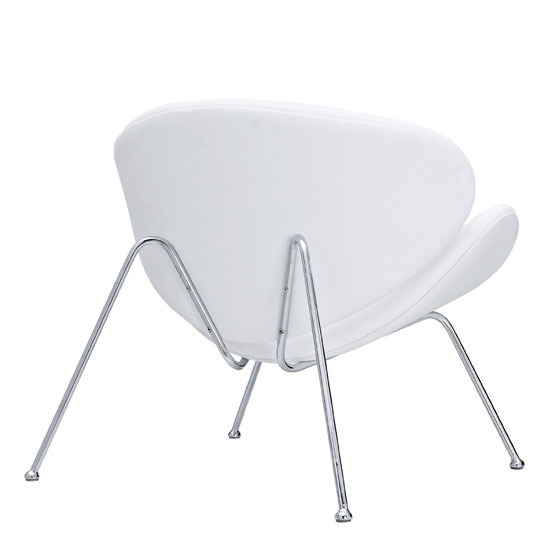 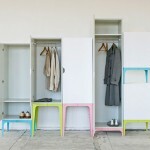 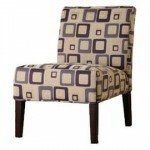 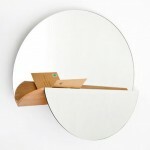 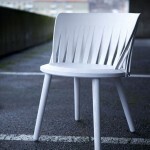 Using polyurethane, chrome and fabric as materials, the chair is of no doubt a sturdy and long lasting kind. 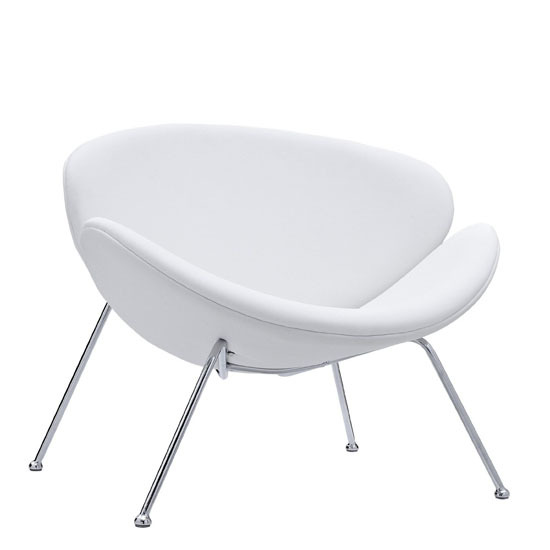 Another thing you will definitely love about the LexMod Nutshell Lounge Chair is its classic and iconic mid-century style with a modern touch, perfect for any contemporary homes.